I took a laminated world map and pinned it to a large bulletin board. 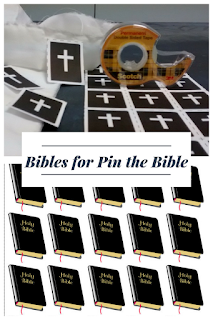 I ran off little Bibles on card-stock (just made to look like the cover of a Bible) and cut them apart. 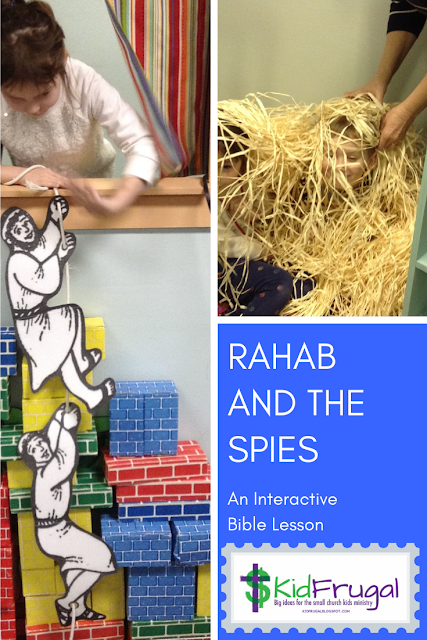 Before we blindfolded the kids, I explained 2 aspects about the Bible. Heart languages - your heart language is the language you grew up speaking. I asked them what language they spoke and then we explained this was their "heart" language - the one they would always know and understand best. 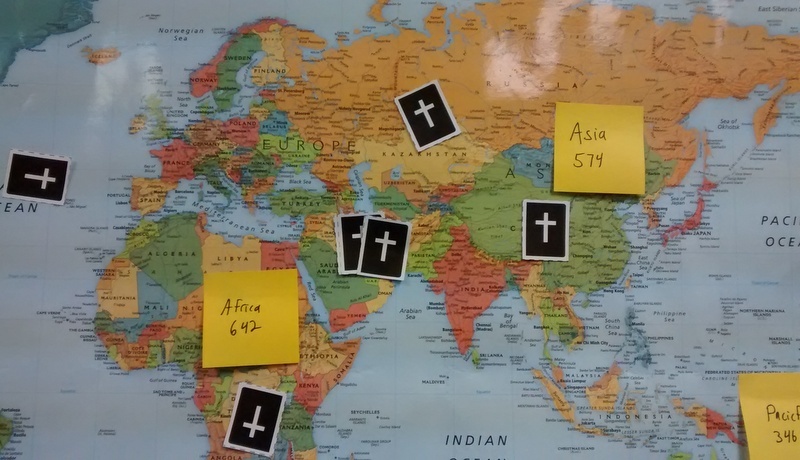 Then I gave them some figures and posted them on sticky notes on the map. 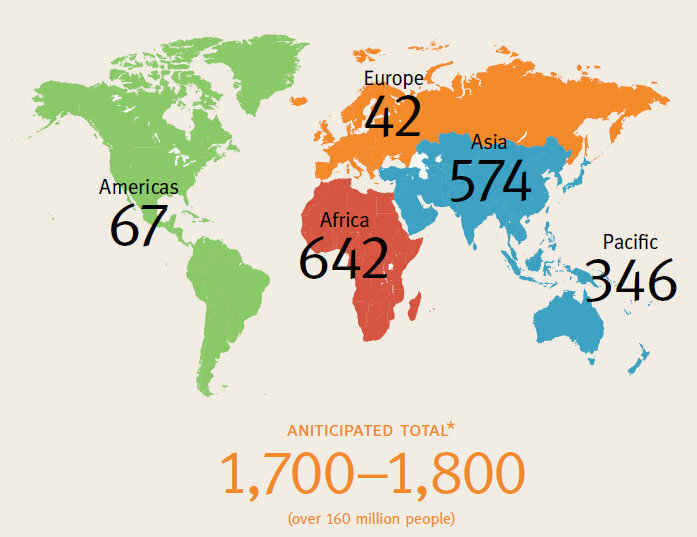 In North and South America, almost everyone has the Bible in their heart language. Also in Europe. But in Africa, Asia and the Islands there are millions of people who do not have a single word of the Bible in their heart language. 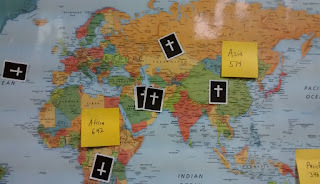 We put the number of languages up on the map for those areas that still needed Bibles in their language (see map). Figures and map from Wycliffe. Banned book - then we talked about countries that would not allow the Bible or seriously restrict its distribution. We asked them what the Bible teaches us about - God, of course. These countries don't believe in God, and people can really come to know God through the Bible, so these countries are afraid of the Bible. This is a very cool concept for the kids to learn. The Bible is a powerful book - and this proves it. A few of the countries that ban or restrict the Bible are Iraq, Iran, Afghanistan, China and North Korea. We put sticky notes on these countries too. After teaching these facts and labeling the map with the notes the game began. We blindfolded the kids, turned them around and gave them a Bible with double sided tape on the back. If they got their Bible on a continent that lacked Bibles in people's heart language, they got 10 points. If they landed on a country where it was banned, they got 20 points. No points for the Americas, Europe or Australia...or the ocean. 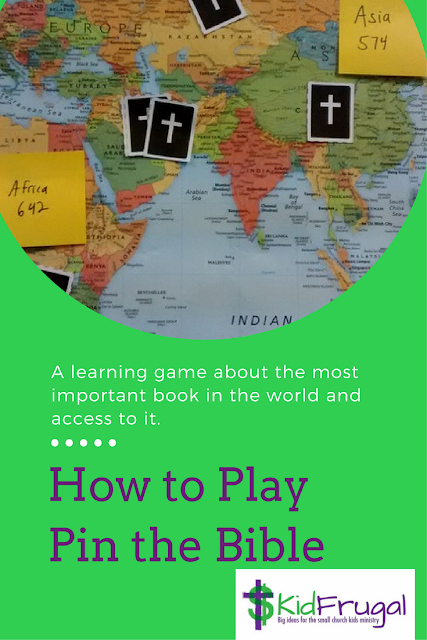 Kids learn when they are happy and relaxed - this was a great way to teach children about the importance of the Bible and Bible translation, as well as organizations like Open Doors and Wycliffe.